Planet of Cities - Kindle edition by Shlomo Angel. Politics & Social Sciences Kindle eBooks @ Amazon.com. Nearly 4,000 cities on our planet today have populations of 100,000 people or more. We know their names, locations, and approximate populations from maps and other data sources, but there is little comparable knowledge about all these cities, and none that can be described as rigorously scientific. 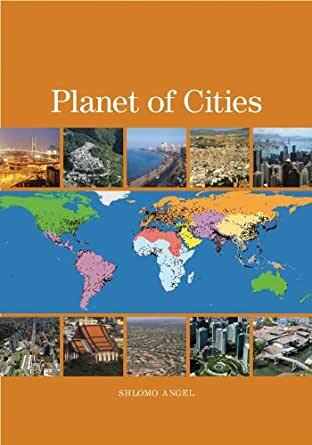 Planet of Cities together with its companion volume, Atlas of Urban Expansion, contributes to developing a science of cities based on studying all these cities together—not in the abstract, but with a view to preparing them for their coming expansion. The book puts into question the main tenets of the familiar Containment Paradigm, also known as smart growth, urban growth management, or compact city, that is designed to contain boundless urban expansion, typically decried as sprawl. It examines this paradigm in a broader global perspective and shows it to be deficient and practically useless in addressing the central questions now facing expanding cities outside the United States and Europe. 1.The expansion of cities that urban population growth entails cannot be contained. Instead we must make adequate room to accommodate it. 2.City densities must remain within a sustainable range. If density is too low, it must be allowed to increase, and if it is too high, it must be allowed to decline. 3.Strict containment of urban expansion destroys the homes of the poor and puts new housing out of reach for most people. Decent housing for all can be ensured only if urban land is in ample supply. 4.As cities expand, the necessary land for public streets, public infrastructure networks, and public open spaces must be secured in advance of development. The first part of the book explores planetary urbanization in a historical and geographical perspective, to establish a global perspective for the study of cities. It confirms that we are in the midst of an urbanization project that started in earnest at the beginning of the nineteenth century, has now reached its peak with half the world population residing in urban areas, and will come to a close, possibly by the end of this century, when most people who want to live in cities will have moved there. This realization lends urgency to the call for preparing for urban expansion now, when the urbanization project is still in full swing, rather than later, when it would be too late to make a difference. 1.What are the extents of urban areas everywhere and how fast are they expanding over time? 2.How dense are urban areas and how are urban densities changing over time? 3.How centralized are the residences and workplaces in cities and do they tend to disperse to the periphery over time? 4.How fragmented are the built-up areas of cities and how are levels of fragmentation changing over time? 5.How compact are the shapes of urban footprints and how are their levels of compactness changing over time? 6.How much land would urban areas require in future decades? 7.How much cultivated land will be consumed by expanding urban areas? By answering these questions and exploring their implications for action, this book provides the conceptual framework, basic empirical data, and practical agenda necessary for the minimal yet meaningful management of the urban expansion process. In Planet of Cities, Shlomo Angel has produced a landmark study, one that combines an ambitious new history of global urban growth with a surprisingly simple and convincing set of policy recommendations. The book suggests that some planning policies that are widely accepted in the United States and Europe are likely to be counterproductive in the developing world. However, the implications of this study are much larger. This is a book that will upset some readers, particularly those with fixed ideas of how cities should look and work, but for others the sweeping scope and sometimes startling new conclusions will be exhilarating. Shlomo Angel has written a fascinating and timely book about cities. It is full of interesting facts and wisdom. The book gives a sense of the enormous variety of challenges facing the world's cities and the folly of trying to handle every one of these urban challenges with a one-size-fits-all policy. Cities are our engines of creativity, wealth creation, and economic growth, yet they also pose threats to our climate, our natural environment, and our food, energy, and water supplies. To resolve these complex issues there is an urgent need to develop a deeper understanding of their dynamics and organization. Shlomo Angel’s wonderful book, Planet of Cities, has begun to do just that. He has brought his unique perspective as a distinguished urban planner and geographer with a depth of experience in addressing real-world problems to produce a deeply insightful book that can be used equally by researchers, from economists to physicists, and by practitioners, from urban planners and architects to politicians. It contains a wealth of knowledge, information, and insights interspersed with a delightful historical perspective that I will be returning to again and again. This timely and important book will inform critical thinking about what I consider to be our planet's greatest challenge. inevitable urban growth, but he also suggests that there is such a thing as too much planning as well as too little. This is one of the most original books about urbanization and urban planning. It is based on a comprehensive compilation and analysis of global data covering several centuries. Based on the analysis, the broad recommendations for planning are well considered and convincing although the first impression might be something like "let the cities grow, without much planning"'. The "grid of dirt roads" is a seemingly simple framework for sustainable physical development, but, on second thought, it is not going to be easy at all to implement. Solly has done it again -- a thoroughly original and admirable book. 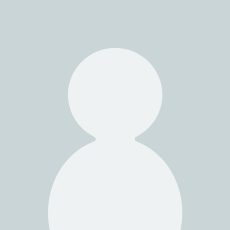 I would love to engage in a professional discussion about his work, especially with regard to a sequel which he suggests -- to be written by other researchers.. This is a rare book which brings Solly's delightful prose to the highly important topic of urban growth and what to do about it. Supported by statistics, which at times become somewhat mind-numbing, he makes a powerful case for proactive planning. The book is enlivened by numerous well chosen illustrations, as well as well designed tables and graphs. There is no question about it: this book represents a milestone in the literature of urban planning. This is an important book that contributes towards a science of cities and should be read in conjunction with its companion volume 'Atlas of urban expansion'. The series brings some rigour to the definition of urban densities and analysis of the global hierarchy of cities. Affordable housing in the rapidly developing countries and flexibility for future patterns of urban growth, are key ingredients for resilience and adaption to change in the future. This book is extremely well written, and is essential reading for university courses on urban planning.